The Christ Church Community Hall opened for use in the November of 2016. 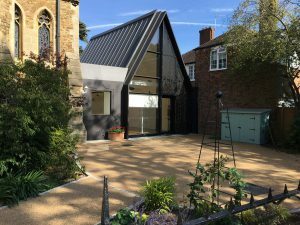 This project has been funded by generous donations from members of our local community and businesses as well as various charitable trusts. 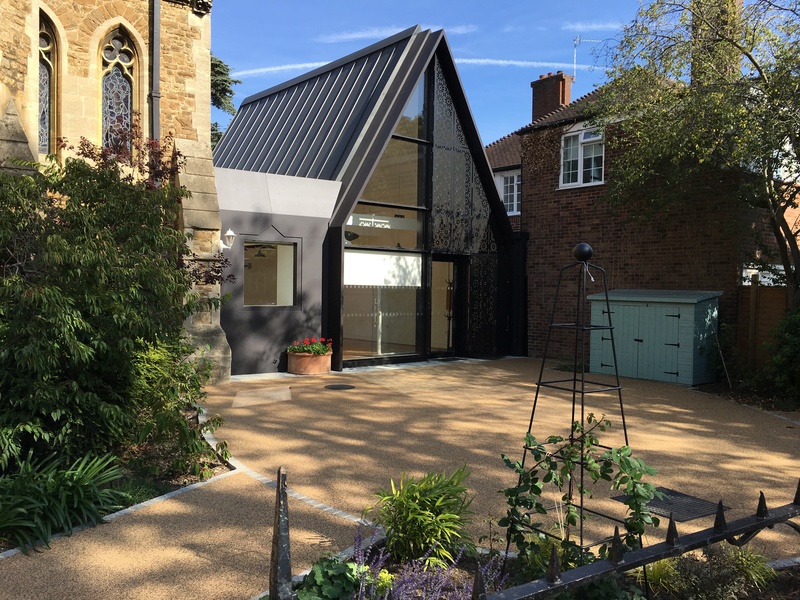 The hall was built for use by everyone in the community of East Sheen and is suitable for hosting a wide range of activities – social events to meetings, from recreational activities to children’s groups or parties and many more. We are delighted to be taking bookings and details of the facilities are set out below. 40 very comfortably for a lunch or dinner, with a range of good quality round and rectangular tables. 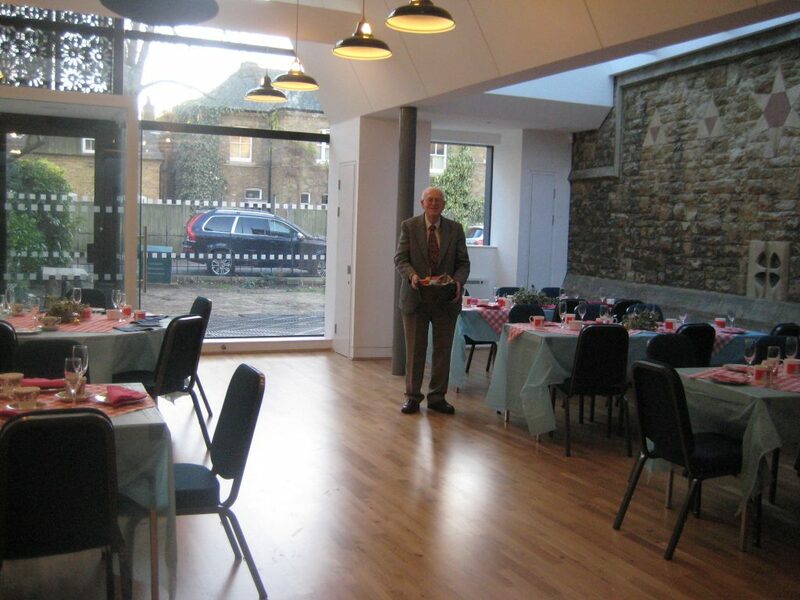 The hall has a sprung wooden floor making it suitable for exercise groups or dancing; good quality chairs and tables for your event; a kitchen designed and fitted out to professional standards for event catering and fully accessible toilet facilities. 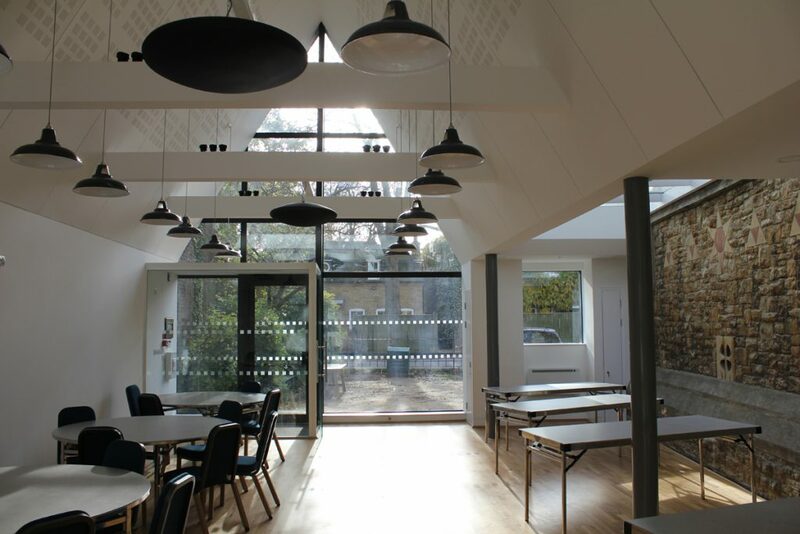 Receptions following a service at Christ Church, such as baptisms, memorial services or funerals: £18 per hour. Children’s Parties: £120 for three hours (either 11.30am to 2.30pm, or 3pm to 6pm). Advance preparation and clearing up afterwards are included within this three hour period. Standard Hire (one-off use): From £30 per hour (extra cleaning charges may be applied. Please contact the Community Hall Manager). Standard Hire (regular use): From £21 per hour. Discounted tariffs may apply in certain circumstances, e.g. registered charities. Full pre-payment must be received prior to confirmation of a booking. An enquiry after a possible booking will remain provisional until receipt of payment. If the payment is not received within one week of the confirmation of the request, the provisional booking may be released. Please first check the calendar below to verify whether the hall is available on the date you have in mind, then email the Community Hall Manager, Mireille Stanton, directly at bookCCCH@gmail.com to book.